The IBS community knows that receiving a diagnosis of irritable bowel syndrome is not exactly the most straight-forward process. Since there’s no gold standard test to receive to find out if you have IBS or not, the diagnosis process can be long and frustrating. For the month of January, we want to hear about your diagnosis journey! Was your getting to a diagnosis of IBS a struggle? Join the conversation here. How did your IBS diagnosis play out? Were your doctors understanding? We want to hear your story! 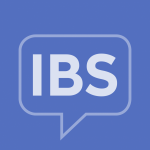 We have plenty of ways to get in touch with others and hear about their experiences with IBS. We’ll be discussing the diagnosis journeys of IBS all month, so join us on Facebook, Twitter, or friend members on our site!